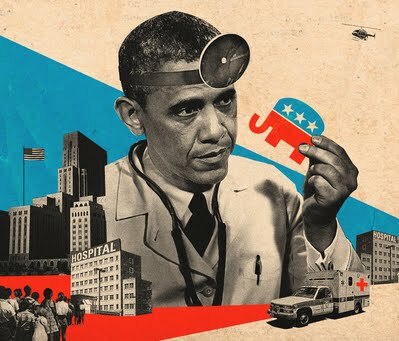 St. Thomas, USVI – Now that most of the political antics have been played, and the US Supreme Court has given its ruling, what does the Patient Protection Affordable Care Act (PPACA), commonly known as Obama Care, really mean? If you are a young adult under the age of 26, you may not have given it a second thought. After all, you probably already get health insurance through your parents’ coverage. Well, beginning 2014, when most Americans will be required to have insurance or pay a tax penalty, you’ll have to buy coverage independently if you don’t have it through your parents, a job or a government program. You may find that prices are higher than today’s prices, since beginning in 2014, insurers won’t be able to set premiums based on risk anymore. Currently, if you’re young and healthy, you are low risk and, therefore, enjoy some of the lowest rates. While most Americans will need comprehensive health insurance to fulfill the individual mandate, if you are an adult under age 30, you will be able to meet the requirement with a cheaper insurance that covers less. As of now, insurers are required to cover some adult children up to age 26 on their parents’ policies, and some health insurance plans provide 100% coverage for preventive services. If you do not already have insurance through a government program like Medicare or Medicaid or through your employer, then you must purchase health insurance independently or pay a penalty. Annual penalties will be small initially but will increase over time. The 2014 penalty amounts to $95. In 2015, the penalties will jump to $325, and in 2016, the penalties are scheduled to go up to a whopping $695. The next big question is, How does the government intend to enforce the penalties? Well, the Internal Revenue Service (IRS) is charged with collecting the individual mandate penalties. If you are assessed a penalty, you will either owe more or receive a smaller refund when you file your annual income tax returns. Please note, however, if you refuse to pay the penalty to the IRS, the affordable care act prohibits the agency from jailing you or seizing your property.